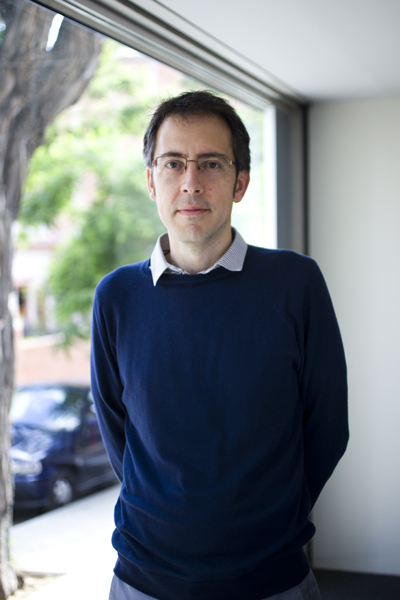 Jordi Badia qualified as an architect in 1989 (ETSAB-Barcelona School of Architecture). 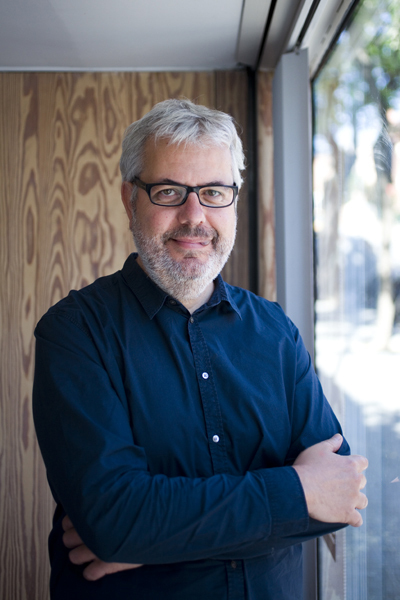 Founder and director of BAAS arquitectura in 1994, Jordi Badia combines his professional task of an architect with that of lecturer in the Projects Department at the ETSAB (2001-present). 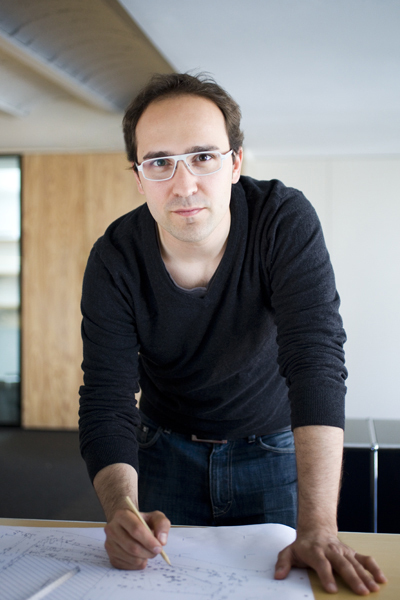 He also contributes to ARA newspaper (2010-present) and has been editor of the architecture blog www.hicarquitectura.com since 2009. 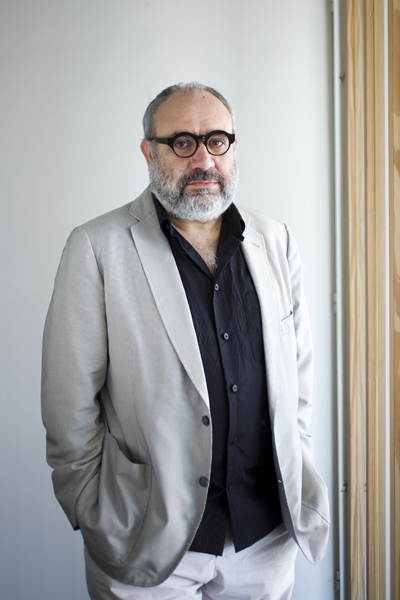 Together with Félix Arranz, he curated the Catalan and Balearic Island pavilion at the 13th Venice Architecture Biennial 2012. • 1989-2001. Lecturer at the Elisava School of Design. • 1994-2001. Lecturer at the ETSAV-Vallès School of Architecture. • 2001-present. Lecturer at ETSAB-Barcelona School of Architecture. • 2009-2013. Lecturer at the ESARQ. • 2009-present. Founder and editor of the HIC international architecture blog. • 2010-present. Contributor to ARA newspaper with a monthly architecture column. • Prize and Special mention, Comarques de Barcelona Award 2013. • Finalist, FAD Award 2012. • Special Jury Prize BEAU XI (Spanish Architecture and Urban Design Biennial) 2011. • FAD Opinion Prize 2010. • Ciutat de Barcelona Award 2009. • Winner of the Premi Nacional de Patrimoni Cultural 2009. • First prize, Catalunya Construcció 2008. • AR+d Emerging Architecture Award 2001. • Second prize, 13th Premio de Astúrias de Arquitectura (COAA) 1996. 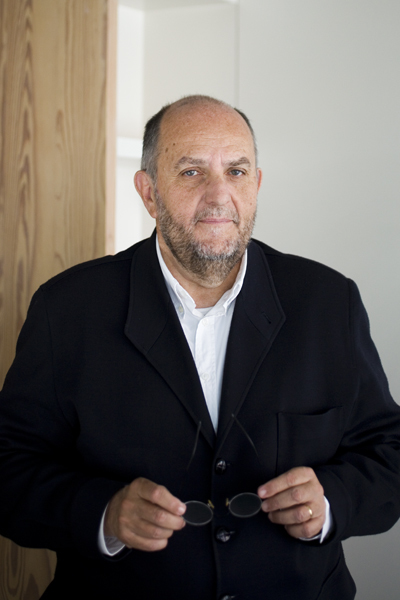 Enric Batlle qualified as an architect in 1981 (ETSAB-Barcelona School of Architecture), gaining his PhD in the Department of Urban Design and Territorial Planning (UPC-Universitat Politècnica de Catalunya, 2002) and a master’s degree in Landscape Architecture (UPC, 2002). 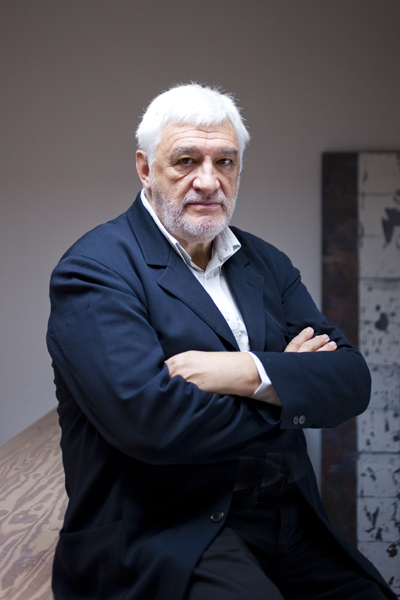 He has been joint principal of MMI Gestió d’Arquitectura i Paisatge, SLP since 1981. Co-founder and partner of GINA since 2013. • Lecturer on the master’s degree in Landscape Architecture (ETSAB-UPC). • Lecturer in Landscape Architecture (Department of Urban Design and Territorial Planning-UPC). • Governor at Elisava Barcelona School of Design. • Architecture and Project workshop advisor (ETSAV-UPC). • Lecturer in Architecture (Navarre School of Architecture, Pamplona). • “The Metropolitan Ecological Matrix and the Different scales of the Green Infrastructures” Urban Director Plan of Barcelona Metropolitan Area, Quadern 03 PU. AMB 2014. • “Giardini Periferici”. Revista swizzera di architettura, ingeneria et urbanistica. 2013. • El jardín de la Metrópoli: Del paisaje romántico al espacio libre para una ciudad sostenible. Gustavo Gili. 2012. • “El jardín de la Metrópoli en el Río Llobregat”. Paisea EXTRA01. 2013. • “El triunfo final de la naturaleza”. Altaïr, no. 80, Rome. 2012. • “Cuñas de verdor muy planificadas”. Altaïr, no. 74, Paris. 2011. • ”Batlle i Roig. Veinte Jardines 1981-2011”. Aflor Ediciones. 2011. • New Landscape in the Metropolis. Return of Landscape. Jovis. 2010. • ”Batlle i Roig Arquitectes. Arquitectura 1996-2009”. TC cuadernos. Ediciones Generales de la Construcción. 2009. • International Architecture Award 2014. • FAD 2012 Theory and Criticism Award 2012 for ”El Jardín de la Metrópoli: Del paisaje romántico al espacio libre para una ciudad sostenible”. • WAF 2011, 2009 & 2008 AWARDS. • Cantabria Architecture Awards 2009. • Mediterranian Landscape Awards 2006. Josep Benedito qualified as an architect in 1971 (ETSAB-Barcelona School of Architecture). He worked in the studio of Josep Antoni Coderch from 1968 to 1970, and began his professional career in the Barcelona studio (1971 to 1991). He worked as architect for the Department of Education of the Generalitat de Catalunya Government (1981-1989). 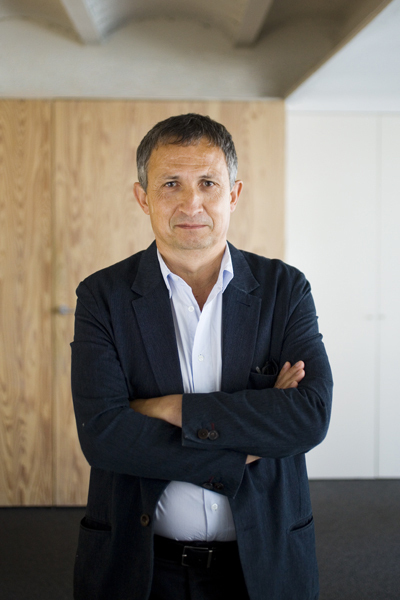 Founder and director of RQP Arquitectura (1991 to present), combining project design and construction with project management, specializing in cultural and educational facilities. He has collaborated with the architects A. Mateos, J. Llobet, R. Valls, S. Orteu, X. Farré, G. Piferrer and G. Costa. • 1979-1981. Lecturer in Projects at El Vallès School of Architecture (UPC). • ”Entrevista a Josep Benedito”. Rehabilitazione MNAC. Quotidiana Barcelona. 2008. • ”Pla funcional i projecte arquitectònic MNAC”. Butlletí del Museu Nacional d’Art de Catalunya no. 8. 2005. • Universitat, arquitectura i territori. RQP Arquitectura slp. Comisionado de universidades e investigación y sociedad de la información. Generalitat de Catalunya. 2001. • Campus: 10 anys d’arquitectura universitària a Catalunya. RQP Arquitectura slp. Comisionado de universidades e investigación y sociedad de la información. Generalitat de Catalunya. 1996. • Universitat i ciutat. Visions sobre el campus urbà de la UPF. Edificions 62. Llibres a l’abast. 1993. • Ciutat de Barcelona 2008 award for the Ca l’Aranyó audiovisual campus (UPF). 2008. • 2nd Terres de Lleida Architecture Show: 1st prize for the Applied Energy Research Centre (CREA). 2007. • 2nd Terres de Lleida Architecture Show: finalist for the Historical Archive in Lleida. 2007. • Bonaplata Award: 1st prize for the CREA. 2005. • Bonaplata Award: runner-up for Mare Nostrum (UPC). 2005. • GBC Sustainable Building 2002 Oslo and EU Thermie programme for the UPC campus in Castelldefels. 2002. • Girona Architecture Show prize for 3/2l secondary school. 2001. • FAD Prize for the Josep Sol special education centre. 1982. Esteve Bonell qualified as an architect in 1971 (ETSAB-Barcelona School of Architecture). He worked for Ricardo Bofill before establishing his own practice in 1973. In 1999, he became an associated partner in Bonell i Gil Arquitectes. The studio’s work, which includes sports facilities, arts centres, hospitals and housing, has obtained international recognition. They have collaborated with the architects Francesc Rius, Albert de Pineda, Marc Collomb and Jacques de Brouwer, among others. In 2009, Esteve Bonell curated the exhibition “Architecture catalane 2004-2009. Portrait d’époque”, for the Cité d’architecture et du patrimoine in Paris. • 1972-2011. Projects lecturer at the ETSAB-Barcelona School of Architecture. • 1983-1984. Guest Projects lecturer at the Polytechnic Federal School of Lausanne. • 1985-1987. Guest Projects lecturer at the Paris-Belleville School of Architecture. • 1987-2003. Member of the Administrative Board of the Paris-Belleville School of Architecture. • 1994-1998. Guest Projects lecturer at the Polytechnic Federal School of Lausanne. • 1999-2013. Projects lecturer, member of the Diploma jury and member of the Consiglio Accademico at the Accademia di Architettura di Mendrisio (Switzerland). • Between 1975 and 2014, he has given over 80 lectures. Barcelona, Madrid, Pamplona, Seville, San Sebastian and La Coruña stand out nationally, with international highlights of Paris, Zurich, Lausanne, Buenos Aires, London, Helsinki, Dublin, Oslo, Bologna and Mexico City. • Their work has been published in monographics such as Building the city: Pieter Vreedeplein (Hans Ibelings, Kirsten Hannema). • ”Bonell e Gil, architetti, Barcellona: il dialogo del progetto” (U. della Svizzera Italiana). • ”Bonell i Gil, arquitectes” (COAC), “Documentos de Arquitectura – 29” (Colegio de Arquitectos de Almería) and “Bonell&Gil – Rius” (Gustavo Gili). • They have collaborated in national and international journals with various opinion articles and publishing their own work. • Catalan national award for Architecture and Urban Space 2010 (CoNCA). • Spanish national award for Sports Architecture 2000, awarded for his body of work in sports architecture. • Ciutat de Barcelona award 1996, for the new Jaume I campus of Pompeu Fabra University. • IAKS Prize Gold Medal 1995 (International Olympic Committee). • Ciutat de Barcelona award 1994 for Citadines Aparthotel in Barcelona’s Rambla. • Mies van der Rohe Prize for European Architecture 1990-1992 for the Basketball Olympic Stadium in Badalona, with F. Rius. • FAD Architecture award 1984, for the cycle track in Horta, Barcelona, with F. Rius. • FAD Architecture award 1975, for the Fregoli I apartment building in Barcelona. 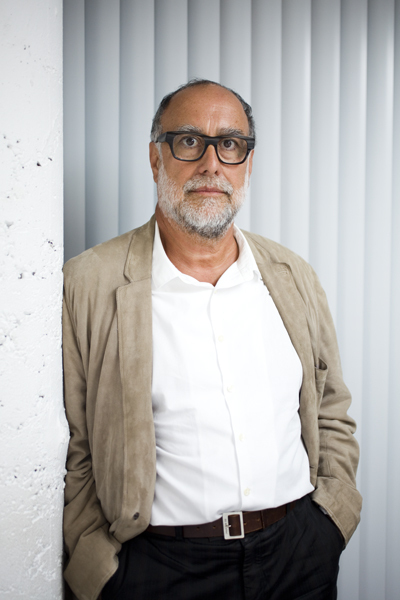 Lluís Dilmé in qualified as an architect in 1988 (ETSAB-Barcelona School of Architecture). He has shared a practice with Xavier Fabré since 1985, first working in interior design and, since 1988, in architecture and urban design. His projects cover many fields, particularly related to the arts: auditoriums, theatres, opera houses and heritage restoration. He has directed and written many books about the reconstruction of the Liceu opera house in Barcelona, one of his most important projects. 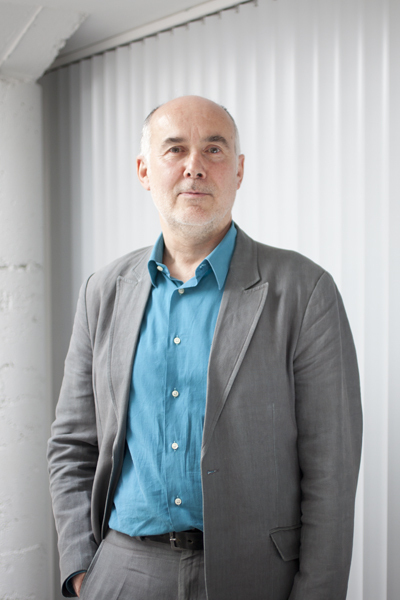 He has been appointed member of the Archizinc Trophée jury, Paris. • Contributor to Equipamientos Culturales and Escenotécnic magazines. • Teatre Principal de Terrassa. Passat, Present i Futur. Prismatic Gràfiques Arts, Inc. April 2011. • Teatre La Massa de Guastavino. Vilassar de Dalt 1881-2002. UPC Edicions. 2002. • Architecture of the Liceu. Barcelona’s opera house with Xavier Fabre and I. de Solà Morales. Edicions UPC. 2000. • Liceu. Un espai per a l’Art with Xavier Fabre and I. de Solà Morales. Editorial Lunwerg Publishers. 1999. • El Gran Teatre del Liceu. Reconstrucció i Ampliació with Xavier Fabre, I. de Solà Morales and Ramon Pla. Actar Editorial, 1996. • National Cultural Heritage Award 2000 for the extension and reconstruction of the Gran Teatre del Liceu, Barcelona. • Europa Nostra Award for the rebuilding and installation of modern stage equipment in the Gran Teatre del Liceu. • Finalist, First Maresme Architecture Triennial 2001-2003 for the restoration of La Massa Theatre (Vilassar de Dalt). • Finalist, Catalunya Construcció Award 2007, for the extension and rehabilitation of the Teatre Principal de Sabadell. • Public Prize for Construction Excellence for the remodelling and extension of the Teatre de Terrassa, June 2012. Jordi Fabré qualified as an architect in 1977 (ETSAB-Barcelona School of Architecture). He was an intern at Fritz Schumacher Stiftung. In 1979 he began his professional career in Guayaquil (Ecuador), where he spent six months developing urban planning for the city’s growth and participated in various architectural projects. In 1981 and 1982, he collaborated with Badalona Council on the Special Facilities Plan. 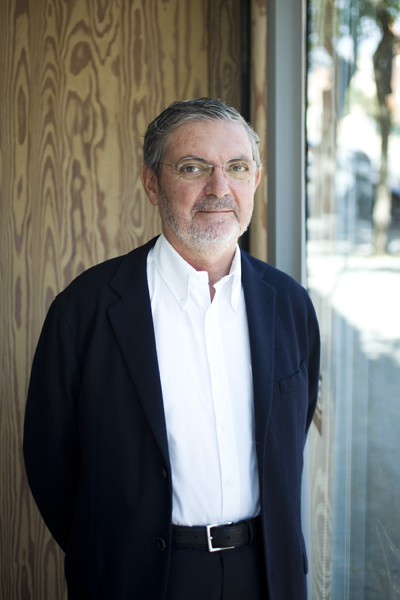 He has been founder and co-director of Fabré & Torras Arquitectes since 1980, working in the field of public administration, particularly on university teaching and research projects. He also specializes in large-scale public transport projects and, more recently, in prison architecture. He has been associated with Dilmé & Fabré since 2013. • Finalist, FAD Award 1988 for the UAB Veterinary Faculty. • Technal Prize for the Best Façade. Xavier Fabré qualified as an architect in 1988 (ETSAB-Barcelona School of Architecture). He has shared a practice with Lluís Dilmé since 1985, first working in interior design and, since 1988, in architecture and urban design. International course on Heritage Intervention, International Laboratory of Architecture, Urbanism and Design, Siena, 1986. Researcher Training grant 1988-1992. Qualified as a researcher, 1993. Specialist in restoring architectural heritage. He designs a wide variety of projects, especially related to the performing arts and music: auditoriums, theatres and opera houses. Director of the International Conference on Theatre Heritage Intervention, 17th AADIPA course, Barcelona 2005. He has written books and numerous articles about architecture and spoken at many forums. Director of Urban Planning and Infrastructures of the Consorci del Besòs (2000) during preparation of the Forum 2004. • Teaching at the ETSAB, 1988-1993. • 2013. Invited lecturer at the School of Architecture of the Federal University of Rio de Janeiro and the School of Architecture of the McKencie University of Sao Paulo. • Contributor to the journals Serra d’Or, Equipamientos Culturales, Escenotécnic, Informació i Debat, Arquitectes de Barcelona and L’Avenç. • Teatre Principal de Terrassa. Passat, Present i Futur. Ajuntament de Terrassa. 2011. • Teatre La Massa de Guastavino. Vilassar de Dalt 1881-2002, Edicions UPC. 2002. • Architecture of the Liceu. Barcelona’s opera house with Lluís Dilmé and I. Solà de Morales. Edicions UPC. 2000. • Liceu. Un espai per l’Art with Lluís Dilmé and I. de Solà Morales. Lunwerg Editors. 1999. • El Gran Teatre del Liceu. Reconstrucció i Ampliació with Lluís Dilmé, I. de Solà Morales and Ramon Pla. Actar. 1996. • Exposició i ciutat. Barcelona Exposició Universal 1888, with A. G. Espuche, P. Hereu and M. Guàrdia. 1988. • Balnearis de Catalunya, Guia Turística de Balnearis. 1987 and 1993. • Arquitectura Balneària a Catalunya, with Ignasi de Solà-Morales and J. M. Birulés, Generalitat de Catalunya, Departament d’Arquitectura i Habitatge. 1986. • Europa Nostra Prize for the reconstruction and installation of modern stage equipment in the Gran Teatre del Liceu. • Finalist in Catalunya Construcció Award 2007 for the extension and rehabilitation of Teatre Principal de Sabadell. Bernat M. Gato qualified as an architect in 2001 (ETSAV-Vallès School of Architecture). In 2011 he completed the master’s degree in Health Centre Planning and Design (UOC). He obtained a scholarship in the European SOCRATES exchange programme at Nantes School of Architecture (France), 1999. He started working at the architecture practice Robert Brufau i Associats, S.A., Barcelona. Since 2000 he has worked at CASA SOLO in Cerdanyola del Vallès, where he has been a partner since 2008. • 2000. While at the ETSAV he was assistant lecturer on the Introduction to Architecture course (UPC Teaching prize) for junior students. • Third prize, competition for the New Parliament of Andorra, 2002. • First prize, competition for the new hospital in Cartagena, 2003. Josep Maria Gil qualified as an architect in 1978 (ETSAB-Barcelona School of Architecture). In 1977 he started collaborating with Esteve Bonell and, in 1999, became a partner in Bonell i Gil Arquitectes. • 1979. Projects lecturer at the Barcelona School of Architecture. • 1998-2007 and 2011-2013. Invited Projects lecturer, Accademia di Architettura di Mendrisio (Switzerland). 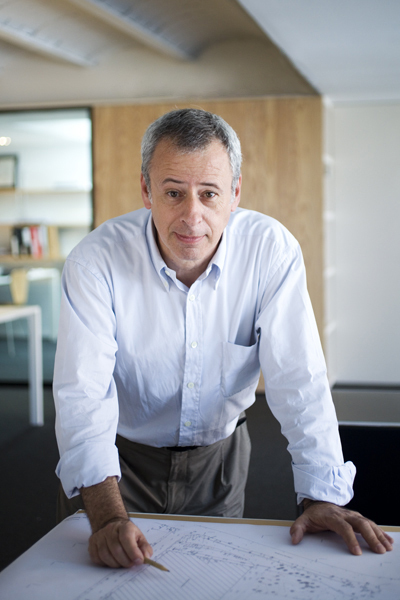 Roger Pernas qualified as an architect in 2001 (ETSAV-Vallès School of Architecture) and studied Building Engineering (UPC). He is currently studying the Executive MBA at IESE Business School (ends May 2015). He obtained a scholarship in the European ERASMUS exchange programme at the Instituto Universitario di Architettura, Venice (Italy), 1999. His professional experience began at CASA, Cerdanyola del Vallès, 2001, which he combined with an internship at Robert Brufau & Associats, SA, Barcelona. From 2001 to 2003 he worked with the architect Rafael Moneo in Madrid. He has been a partner at CASA since 2008. • Winner of the tender for the new hospital in Cartagena, 2003. • Winner of the tender for the Hospital del Mar Menor, 2005. Albert de Pineda qualified as an architect in 1980 (ETSAB-Barcelona School of Architecture). Master in Healthcare Facility Planning. 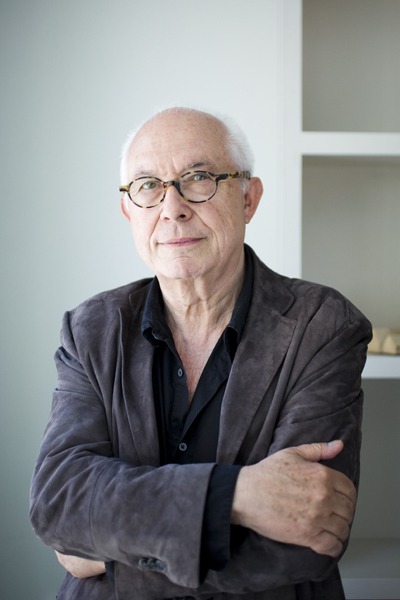 He is an architect and the founder and principal of PINEARQ, founded in 1989, an international leader in the design and construction of hospitals, nursing homes, research centres, laboratories, education centres and markets. It has built over 180 projects in different countries in Europe (Spain, Germany, Italy, Luxembourg, Portugal) and Latin America (El Salvador, Guatemala, Nicaragua, Chile, Haiti and Panama), with recent initiatives in Angola, Algeria, Morocco, Qatar, Dubai and China. PINEARQ has eight offices worldwide with a multidisciplinary team of managers, urban designers, architects and engineers. Its most outstanding projects include the Hospital del Mar in Barcelona, the Biomedical Research Park in Barcelona-PRBB, Berlin Hedwigshöhe Hospital, the Martí i Júlia Hospital Complex in Girona, Beatriz Angelo Hospital in Loures, Hospital Da Luz and Hospital Todos os Santos in Lisbon, the Antidoping Laboratory in Doha, and private hospitals such as the Quiron Group in Madrid, Saragossa and Barcelona. 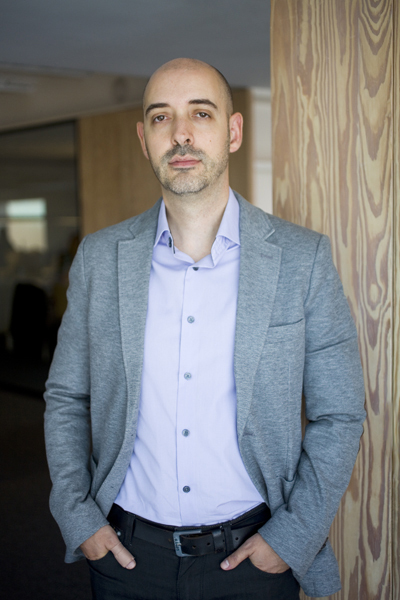 Albert de Pineda is also an advisor to the COAC-Architect’s Institute of Catalonia, Barcelona City Council and various autonomous regional governments in Spain. • He has participated in conferences and seminars as a specialist. • Academic Director and lecturer at the Open University of Catalonia (UOC). • 2010-present. Lecturer on the master’s degree in Planning and Healthcare Design. • 2011-present. Lecturer on master’s degrees at the School of Architecture of Galicia and in Healthcare Architecture at the CEU in Madrid. • 2008-present. Lecturer on the master’s degree in Direction and Management of Municipal Markets organized by the Diputació de Barcelona and IL3. • He has written various articles for specialist magazines and books about healthcare design for Spain and other countries. • FAD Architecture and Design Award, 1992-2007. • Barcelona Decade Award, 1998-2008. • Julio Galán Prize of the Architects’ Institute of Galicia, 1998. Pere Joan Ravetllat qualified as an architect at the ETSAB (Barcelona School of Architecture). Master of Science of Building Design, Columbia University. New York. PhD from the UPC in 1994 and lecturer in the Department of Architectural Design since 2004. He embarked on his professional career together with Carme Ribas in 1985. He has always combined architecture practice with teaching and research at the ETSAB; he regards the two activities as complementary. • 1982-present. Lecturer in Design at ETSAB-Barcelona School of Architecture. • 1994-present. Lecturer in PhD Design Programs at ETSAB. • 2000-present. Director of the Housing and City course. • 2004-2009. Head of BCN Design Studio at the Illinois School of Architecture, Chicago. • 2010-present. Head of exchange programmes with ETH Zurich and ZHAW Winterthur. • 2013-present. Coordinator of the REARQ architecture restoration research group. • “El sentido de un curso sobre viviendas”. Metodología del proyecto arquitectónico, 2011. • “Habitatge i Ciutat, un únic projecte. Charlottenburg-nord, Berlín 1956”, 2011. • HABITAR MILLOR. Converses sobre habitatge. Foment de les Arts i del Disseny (FAD), 2008. • “Un edificio no és más que una construcción muerta”. B. Lubetkin, 2006. • “La planta baja: una intersección entre el edificio y la ciudad”. DPA, 2005. • “La fosse ardeatine. El recorrido como alternativa al monumento”. DPA, 2002. • “Barcelona Futura”. 1855-1999 Barcelona Contemporània. 1996. • “Habitatge: Noves alternatives”. Quaderns d’Arquitectura i Urbanisme, 1995. • “Ciutat Vella: Reptes i estratègies.” Quaderns d’Arquitectura i Urbanisme, 1994. • Finalist, Catalunya Construcció Award 2012 and 2014. • Finalist, Spanish Architecture and Urban Design Biennial 1995, 1997 and 2013. • Winner, 15th Comarques de Girona Architecture Award 2012. • Finalist and Special Mention, CONSTRUMAT Awards 1989 and 2013. • Finalist and Special Mention, Social Housing Awards of Catalunya 2007. • Finalist, European Landscape Biennial 2002 and 2006. • Winner of Spain. European Steel Design Award 2005. • Finalist, FAD City and Landscape Awards 2004 and 2005. • Finalist, FAD Architecture Award 1989 and 1990. • Finalist, Ciutat de Barcelona Award for Rehabilitation, 1988. • Finalist, FAD Rehabilitation Award 1988. • Finalist, FAD Interior Design Award, 1987. 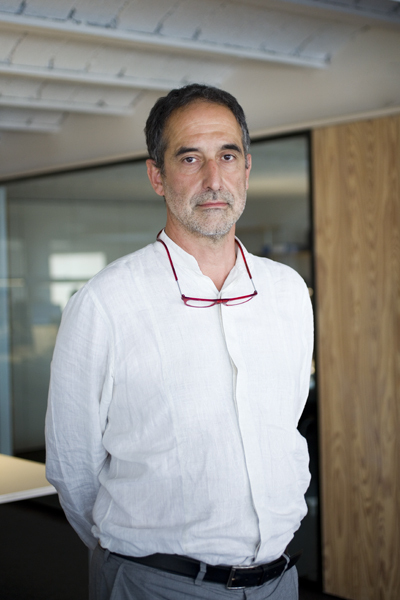 Joan Roig qualified as an architect in 1981 (ETSAB-Barcelona School of Architecture). Jury member for national and international competitions: Europan, Spanish Architecture Biennial, European Landscape Biennial, Saloni Prizes and Alicante Architecture Expo. 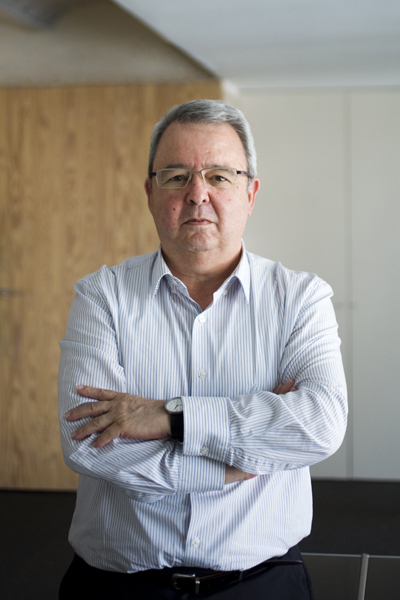 Board member for Culture (Barcelona Branch), Architects’ Institute of Catalonia (COAC); consultant to the Colección Mixta (Editorial Gustavo Gili) and member of the Architecture Commission of Barcelona City Council. He was recently director of the Barcelona Institute of Architecture (BIArch). Joint principal of MMI Gestió d’Arquitectura i Paisatge, SLP since 1981. • 1984-2013. Lecturer in the Department of Architecture Projects (UPC-Universitat Politècnica de Catalunya). • Lecturer in Architectural Design at the Barcelona School of Architecture (UPC). • Lecturer at the Barcelona School of Agriculture. • Visiting lecturer at, among others, Academie van Bounkunst, Rotterdam; Delft University of Technology; ILAUD (International Laboratory of Architecture and Urban Design), Urbino; IUAV, Venice; Architecture Faculty, Genoa; ITU, Architecture Faculty, Istanbul; Washington University, St. Louis; University of Illinois, Chicago; École superieure du paysage de Versailles; Technische Universität, Munich; Universität Stuttgart, Germany; and Navarre School of Architecture, Pamplona. • Nuevos puentes. Gustavo Gili. 1996. • Batlle i Roig Arquitectes. Arquitectura. 1996-2009. TC cuadernos. Ediciones Generales de la Construcción 2009. • Batlle i Roig. Veinte Jardines. 1981. 2011. Paisajismo. Asflor Ediciones. 2011. • Numerous opinion articles published in specialist journals, including El Croquis, Arquitectura Viva, Topos, Quaderns, Domus, etc. • Waf Award 2008, 2009, 2011. • European Award for Urban Public Space 2004. • Andrea Palladio Award; Bonaplata Award 1993. • Delta FAD Design Award 1991. • Antonio Camuñas Award 1990. • Twice finalist of the Construmat Award. • Twice finalist of the Spanish Architecture Biennial. • Sixteen times finalist of the FAD Architecture Award. Ramon Sanabria qualified as an architect in 1973 (ETSAB-Barcelona School of Architecture). The professional partnership of ARTIGUES & SANABRIA, ARQUITECTES began in 1980. When Ramon Artigues ended his professional career in 2004, the practice was renamed RSANABRIA ARQUITECTOS ASOCIADOS SLP. Member of the Barcelona City Architecture Commission. Member of Barcelona City Council’s new Strategic Metropolitan Plan Committee. • 1974. Lecturer in Projects at ETSAB-Barcelona School of Architecture. • 2005. Associate lecturer at the Pamplona School of Architecture. • 2009-2010. 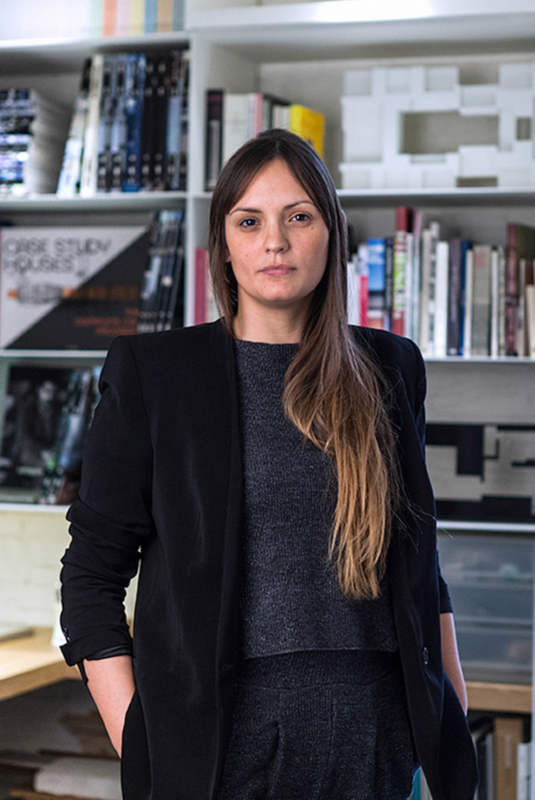 Lecturer in the Barcelona Housing workshop of the Mies van der Rohe Chair, created by the Mies van der Rohe Foundation in collaboration with the ETSAB. • “Aeroport Internacional de Múrcia”. XII Bienal Espanyola d’Arquitectura i Urbanisme. Fundación Caja de Arquitectos. 2013. • Hospital Sociosanitari Francolí a Tarragona i Hospital de la Garrotxa a Olot. Arquitectura per la Salud, 18 anys d’arquitectura sanitària a Catalunya, CatSalut 1991-2009. CatSalut and COAC. 2010. • “Edifici Intermodal de l’Aeroport de Barcelona com a finalista dels premis FAD 2008”. ON Diseño no. 297. 2008. • Finalist, 12th Spanish Architecture and Urban Design Biennial 2013 for Murcia Airport. • Finalist, Ciutat de Barcelona Award 2009 for the building of 143 dwellings in Carrer Pallars, Barcelona. • Finalist, FAD Architecture Award 2008, for the intermodal building at Barcelona airport. • Flyer Architecture Award 2007, for the intermodal building at Barcelona airport. Mercè Torras graduated in architecture from the ETSAB (Barcelona School Architecture) in 1984. In 1979 she began her practice in Guayaquil (Ecuador), where she spent six months developing urban planning for the city’s growth and participated in various architectural projects. In 1981 and 1982, she collaborated with Badalona Council on the Special Facilities Plan. 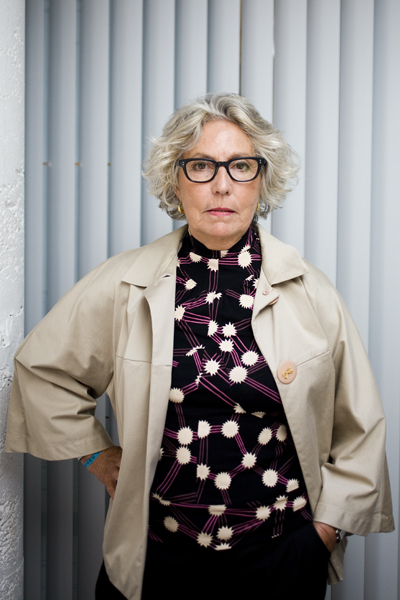 She has been founder and co-director of Fabré & Torras Arquitectes since 1980, working in the field of public administration, particularly on university teaching and research projects. She also specializes in large-scale public transport projects and, more recently, in prison architecture. She has been associated with Dilmé & Fabré since 2013. 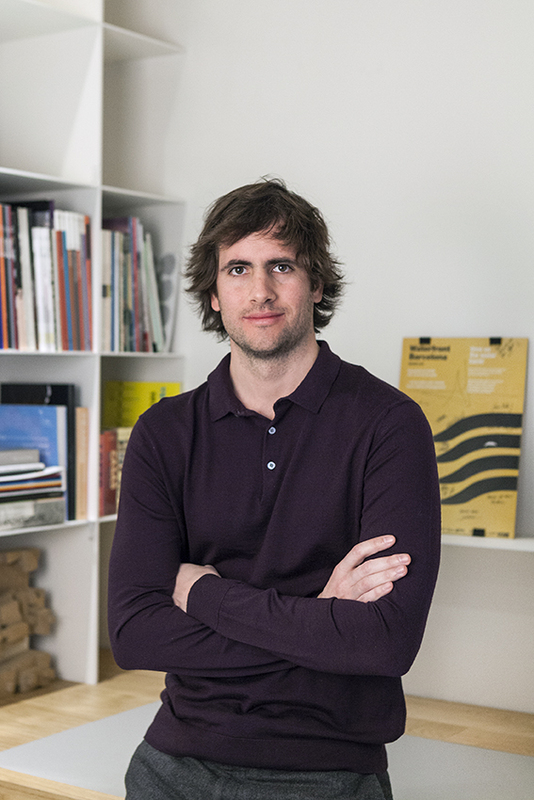 Jaime Batlle qualified as an architect in 2010 (ETSAB-Barcelona School of Architecture) and spent a year at the École d’architecture Paris Malaquais in 2006. 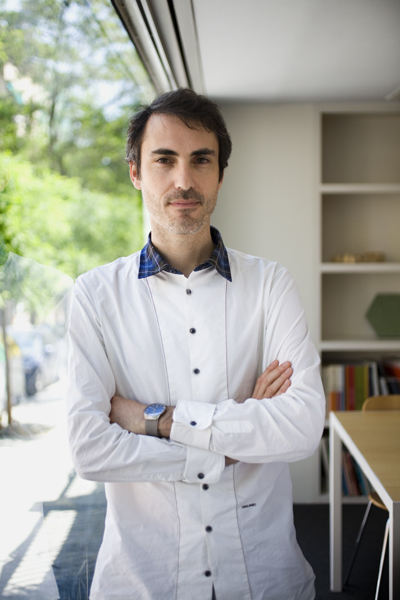 He has worked at several architectural studios, including Rafael de la Hoz Arquitectos, Mario Bellini Associaty, Frank Gehry Partners and Ateliers Jean Nouvel (2002-2012), and had a long-term collaboration with BAAS Jordi Badia as project team leader. In 2012, together with Diana Carbonell, he founded the ‘built’ studio for architecture and design projects. Currently he is part of the executive team of GINA responsible for communication and marketing. • His teaching experience began with three years as an intern at the ETSAB on Housing and City under the coordination of architect/lecturer Pere-Joan Ravetllat. • For two years he was assistant lecturer at the ESARQ-UIC in the final project studio for fifth year students with architect/lecturer Jordi Badia. • He was invited to teach on the Projects course (ELISAVA School of Design and Engineering), the master’s degree on The Large Scale (ETSAB) and as a jury member (École nationale supérieure d’architecture, Toulouse). • He is currently assistant lecturer at the ESARQ School of Architecture-UIC in the studio class for fourth year students coordinated by lecturers Carmen Mendoza, Álvaro Cuellar, Felip Pich-Aguilera and Iñaki Baquero. He also tutors the course Barcelona Re.set under the coordination of the lecturer Vicenç Sarrablo at ESARQ-UIC. 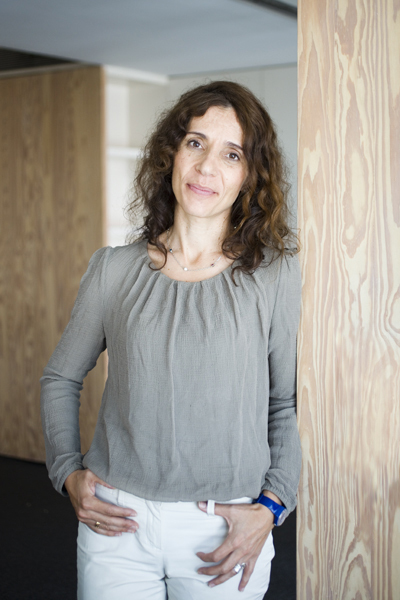 Inmaculada Casado qualified as a Technical Architect in 1989 (EUPB). Master’s degree in Environmental Intervention (UB, 1994) and LEED Certification 201: Core Concepts and Strategies (2012), master’s programme in Hospital Planning (UOC, 2012-2014). CEO at PINEARQ since 1997. Her work centres on the design and management of educational buildings (Les Cireres and Planas Casals infants’ and primary schools, Bellvitge Campus, etc.). Since 1997, she has focused on healthcare buildings with hospitals (Quirón Barcelona, Moisés Broggi Hospital and Hospital del Mar, among others) and geriatric residences (including El Carmen, the Service Platform in Vilanova i la Geltrú and the Casernes de Sant Andreu social healthcare centre) and technology (Biomedical Research Park, Barcelona). She collaborates with teams specialized in innovative projects and developing sustainable construction and rehabilitation. She currently works in management and international projects in South America, Africa and Asia. • 2000-2002. Lecturer in Architecture and the Environment in the Technical Architecture degree at ELISAVA School of Design. • 2002-2004. Lecturer in Building Materials and Environmental Aspects in the Department of Construction, UPC. • 2013. Speaker at the CAATEEB about the internationalization of the profession. • “Arquitectura Bioclimàtica”. Final year project. 1989. • Deconstrucció als edificis. Institut Tecnològic de la Construcció-ITEC. 1995. • HIADES i EDAC (Edificis de Qualitat Ambiental). Institut Cerdà. 1996-1998. • “Curs Introducció al Medi ambient”. EUPB. 1998-1999. • Articles about sustainable construction for the magazine of the APCE (Associació de Promotors i Constructors de Catalunya). 1998-1999. • “L’Eixample. Rehabilitació i Construccions Sostenibles”. Barcelona 1979-2004: Del Desenvolupament a la Ciutat de Qualitat. COAC, EIC and Ajuntament de Barcelona. 1999. • Guia de l’Edificació Sostenible. Diputació de Barcelona, Departament d’Indústria d’Energia de la Generalitat, Departament de Política Territorial i Obres Públiques de la Generalitat and Col·legi d’Aparelladors de Barcelona. 1999. • Les Energies Renovables en l’arquitectura i les ciutats. COAC. 2000. • Opinion piece about legislation in EUPALINOS. Cooperativa d’Arquitectes. 2002. • La Contribució de l’habitatge de Catalunya en la reducció d’emissions de gasos amb efecte hivernacle. Departament de Medi ambient i Habitatge. Generalitat de Catalunya. 2006. • Guia Renergia. Departament de Medi ambient i Habitatge de la Generalitat de Catalunya. 2009. • Finalist, FAD Awards 1993 for Les Pruneres School, Martorelles. • REHABITEC Award 1996 for the Promotion of Technological Innovation and Quality in Residential Building Construction for the rehabilitation of housing in Nou de Gaia Tarragona. Josep Gallego qualified as an architect in 1998 (ETSAB-Barcelona School of Architecture). He began his professional practice at Artigues & Sanabria Arquitectes in 1999, later becoming an associate in RSanabria arquitectes. He has been a partner at Sanabria & Planas-Gallego arquitectes since 2011. 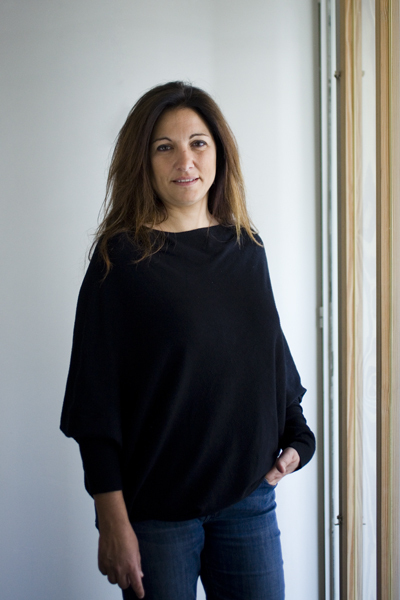 Lidia Planas qualified as an architect in 2000 (ETSAB-Barcelona School of Architecture). She began her professional practice at Artigues & Sanabria Arquitectes in 1997, later becoming an associate in RSanabria arquitectes. 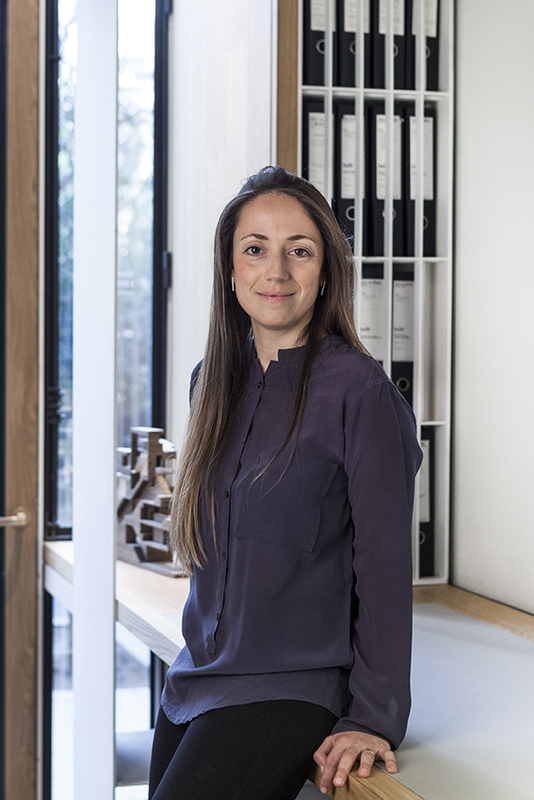 She has been a partner at Sanabria & Planas-Gallego arquitectes since 2011. • 2001 to 2005. Lecturer in Projects at the Barcelona School of Architecture. • 2008 Visiting Professor on the End of Course Jury at the Monterrey School of Architecture, Mexico.